No. 9 Floral is a witchy, New Orleans inspired floral arrangement and gift business located in San Antonio, Texas. 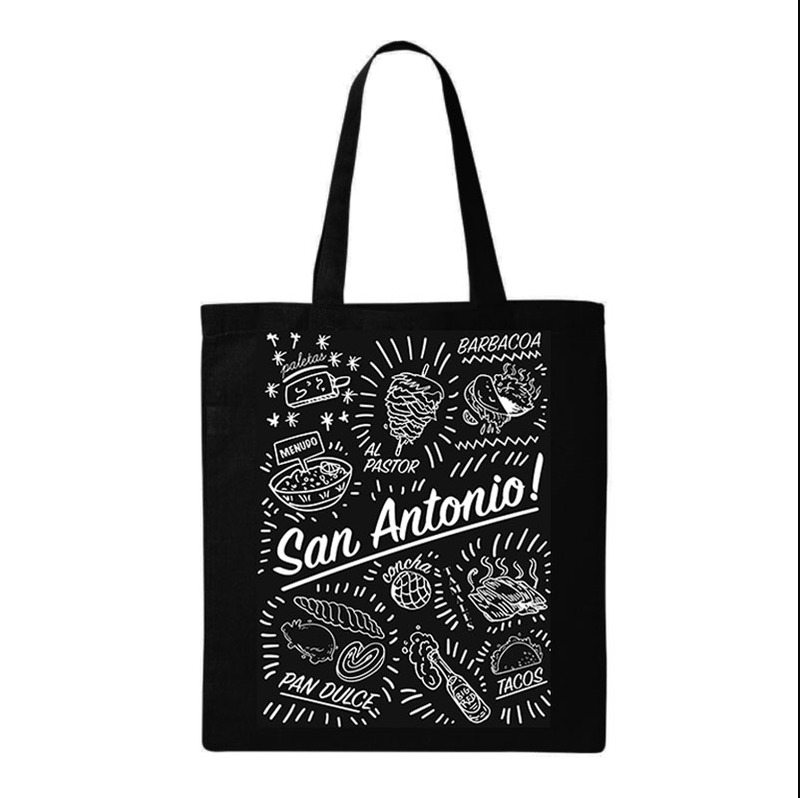 For a recent promotion, I was asked to create a graphic for an upcoming promotion celebrating the food of San Antonio. The project was pretty straightforward; create a design inspired by 50’s style souvenir swag that could be used on a number of items for the business. 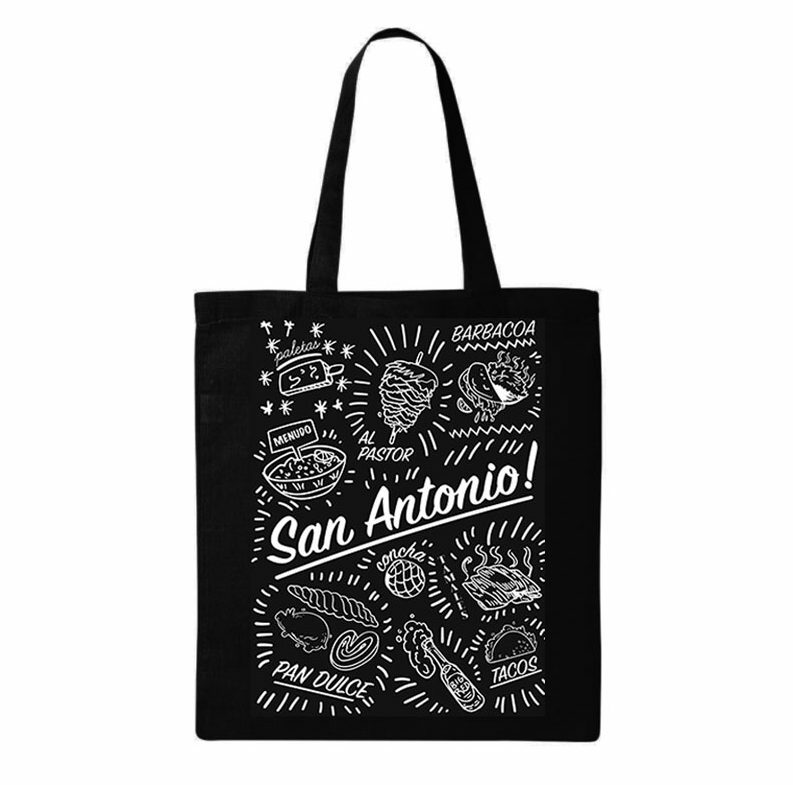 I created a number of hand drawn icons to depict some of the most iconic food of the area, a mix of Tex Mex favorites and local treats. I combined these with some vintage fonts and line work. The initial use for the image was for a collectible bag, featured in a bold white print on black. 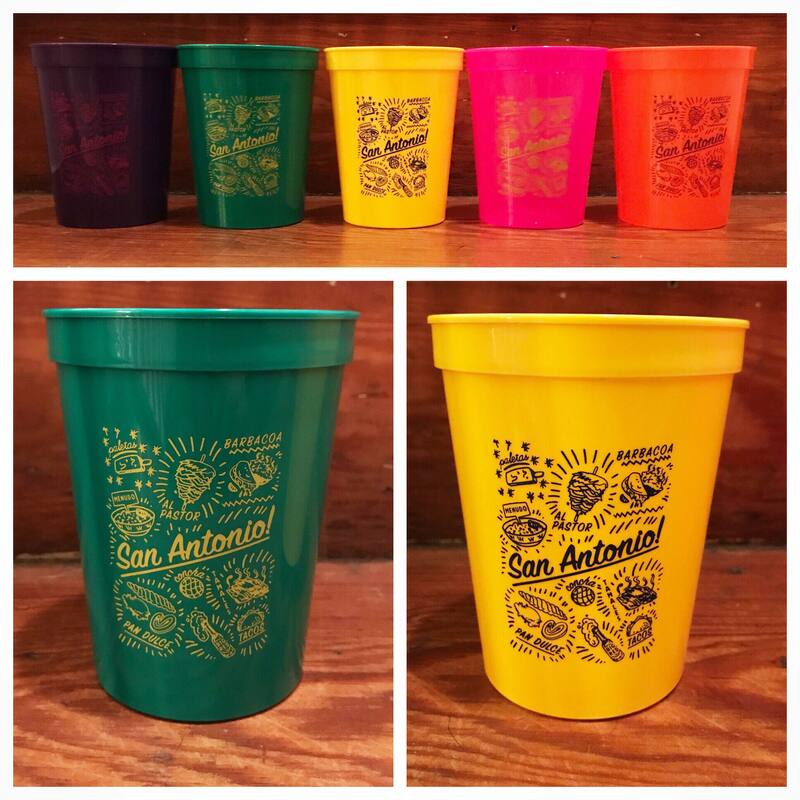 Recently the design was featured on these fun Fiestaware colored cup sets.